I’m sorry I missed this one! The Dude throwing out the first pitch to The Beard! I love it. 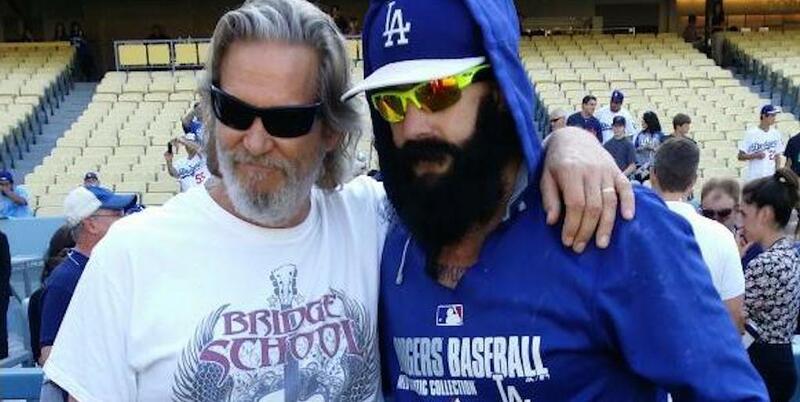 Unfortunately, the Dodgers played like they’d all been drinking White Russians. Not cool, man! Letting the Cubs win, 8-2. The Cubs?!? The Windy City ruins everything, once again.